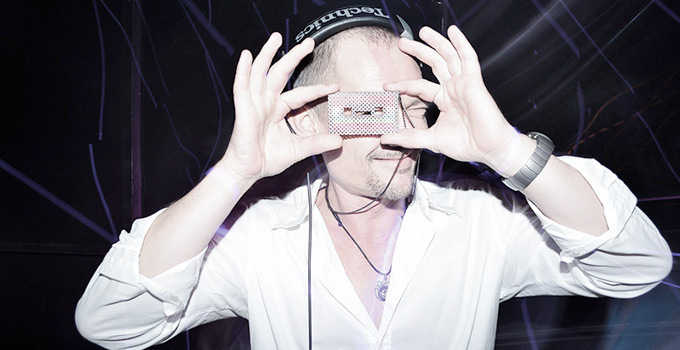 My name is Adam Lerschen aka DJ Kimchi. I am 22 years old, living in Eugene, Oregon. 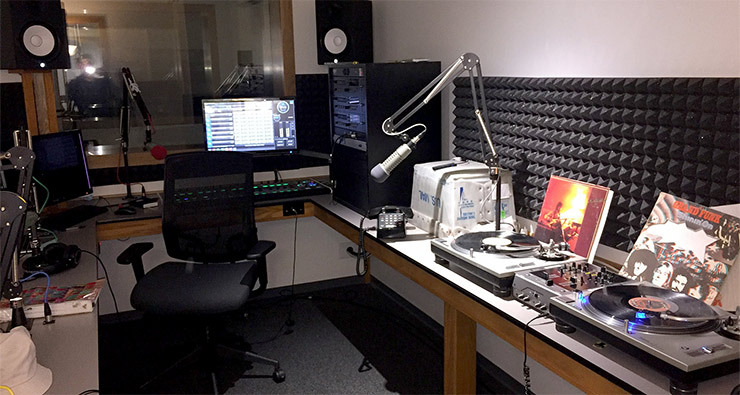 I am a radio DJ at KWVA - the University of Oregon’s radio station. 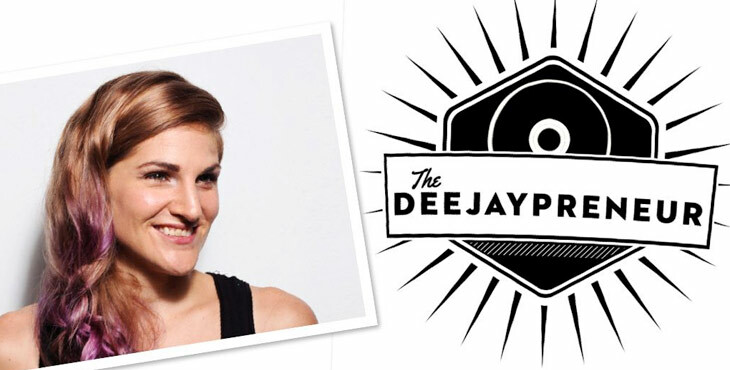 I am excited to share with you all what life is like as a radio DJ. By the end of this post, I hope you will get an idea of what a radio DJ does, and why it is so much fun! I even hope to hear that I was able to encourage you enough to apply at your local station. When the word “DJ” comes to mind, one seems to instantly picture someone spinning in front of a huge crowd. 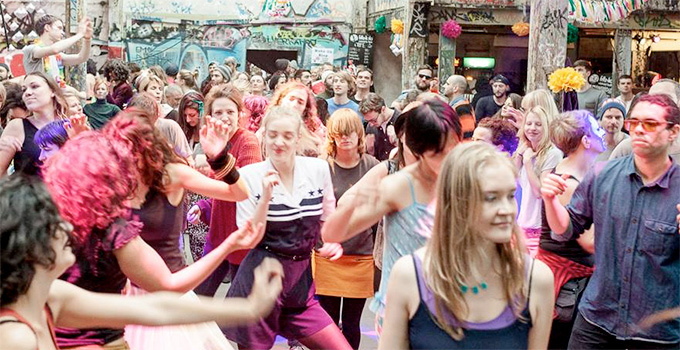 At a festival, in a dance club or at a music venue. Radio DJs appear to be a little different. This does not mean that being a radio DJ is any less “cool”. In fact, radio hosting is one of the oldest forms of DJing. Let me explain the exciting world of being a radio DJ! I would consider being a radio DJ the most basic form of DJing. A radio DJ will perform mixing at a very basic and simple level, in which one will use a channel volume fader to transition into the upcoming track. This is different compared to the DJs who mix songs using beat matching. A radio DJ will voice announcements, introductions, comments, jokes, and commercials in between songs. It is important to keep in mind that the radio DJ can not afford to have any dead air at all during their show. Allowing any “dead air” is the biggest no-no a radio DJ can make. If you can recall, when is the last time you turned on the radio and heard white noise? Never, that’s right. This serves the same justice as if one were at a party, festival, or club. Imagine the current DJ stopping the music. Exactly my point. Depending on what style radio station you are a part of, a radio DJ will work with what kind of power that they are given. In my case, my radio station allows me to be able to do so much! I am allowed to play whatever music I please during my show, and host my show in any manner I choose. This is the best part of being a radio DJ – the simple fact that I have the opportunity to share something I love oh so much! It is an indescribable feeling. It truly is amazing when someone calls the station and is dying to know what song that they had just listened to. It truly is amazing when someone calls the station and is dying to know what song that they had just listened to. Often today, especially with kids of my age, we are stuck in a streaming world. We are accustomed to using internet apps, such as Youtube, Soundcloud, Spotify, Apple Music, Pandora, Datpiff, Bandcamp, etc to listen to music. And by no means is this a bad thing, it is just how times have changed. What one my age must try to remember, is that we are the only generation up to date to enjoy this type of luxury. We do not understand what it was like for our grandparents, parents, or even older siblings generations on how they would listen to their music. I can guarantee that the radio played an important role. Just think, during our grandparents day, the radio was the main source of anything! The radio changed the way how humans lived. It is completely mind blowing to me how humans even figured out how to transfer and broadcast signals of information through waves in the air. It is very special to be a part of something so important in human life. With all of this being said, a radio DJ will learn to develop their own unique personality. Since you are on the radio, you are playing a role in the community. You are a part of someones day. Why not try and give the listener the best experience ever! You will begin to form a listening audience each week. There will be someone out there who is looking forward to your show. You begin to form a relationship with the community. It is fun to give the listeners something to look forward to every week. You may be as creative as you want. I love hearing whatever DJ is currently on because they each have a distinct personality. It is fun to listen to their style of music & show, their interests, knowledge & suggestions of what music to listen to. Experience their radio charisma. It is wonderful to be surrounded with people who share the same love and passion of music as me. We wouldn’t be DJing if otherwise. And ultimately, that is what being a radio DJ is all about: to have an impact on somebody’s day. The radio DJ has the freedom to brighten someone’s day, allow one to discover their new favorite artist, flashback a great memory, and so on. Ever since the 1950s, the radio DJ has played a big part of the daily life of humans, and will continue to do so. Before I became a part of KWVA, I listened to it every day. I still do! Whether it was playing in the living room, the car, or during work, I would find myself listening to it. Once my sister introduced how it was possible to become a DJ at KWVA. I applied as soon as I found out. The application was to list 100 artists I would play on my show. I mastered the tasks and got the job. Amazing! What is an amazing perk of being a DJ at my station, is that I am allowed to bring in guests! It is so fun bringing in people to come do a show with you! How often does someone ask you to go hangout and be on the radio? An amazing thing that KWVA encourages us DJs to do is to host actual bands/artists or have live interviews. We have the free will to give a band/artist an opportunity to play a live set on the radio. The interviews may be on whatever topic you want to discuss. Remember, it is your show, and you choose how you decide it goes. It is amazing to have the capability to give an artist air time on the radio. This is an amazing part: to begin developing your own radio personality. You must think of your DJ name and name of the show that you will be hosting. For instance, I am DJ Kimchi, and I host the Fermentation Hour. Here is the DJ catalogue at my station. You can see how much fun the DJs have with naming their show and how it ties in with the style of music they play. Perk number tree of being a radio DJ? If you notice from the image on the right, there are a ton of DJs! This is a 24-hour on air station! 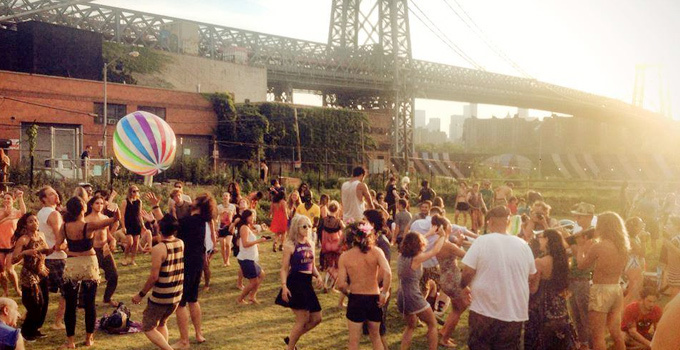 To keep this station going, it takes a community of over 90 DJs! It is an absolute honor to be able to be a part of something so special as this. Not only am I able to be a part of the community I live in, I am able to connect with all of the other DJs. There are some DJs who have been at the station for over 20 years! It is amazing to gain all of the knowledge and learn how they approach their shows. I use any show I listen to as a learning experience. I bet that many other radio stations will have something like this to offer. Each week, the station receives new releases from artists from all over the world. I have the opportunity to discover new music every time I step in the building. I have the chance to burn any of the music and add to my own collection. Might I add this for any of you aspiring DJs out there... No one will tell you this at the beginning, but being a DJ may be pricey. This is a perfect way to get free music. It is honestly more than I could ever ask for. Also, we are affiliated with a music venue in town, so guess what that means? FREE CONCERT TICKETS!!! Awesome, I know. By now, I hope you have gained a better understanding of what a radio DJ does. We are anywhere and everywhere, ha! But for real, I will say that becoming a radio DJ has been one of the coolest things that has ever happened to me. To those who want to be more than just the plain old radio DJ, this is always a great place to start. You will gain new insights on how the music industry works and what it is like to be involved in the music scene. This is no different than a chef who is preparing the ingredients for the tasty dinner that is about to be created. Approach prepping a setlist in this manner. A setlist should have some effort put in by the host. When you are a radio DJ, you will be the host of your own show. Have a general idea of what style of music you want your listeners to expect to hear each week. Select a genre (or multiple), and create a theme to work with. Give your show attention and thought. The goal is to introduce the listener to as much new music possible. A daytime show is going to be different than an evening show. Understand what times the community works in. I will play more energy songs at night time, compared to the daytime, I will play more relaxing music that more older crowds can connect with. You will talk more in a daytime show than you would during a night show. Learn how to talk into the microphone & broadcast like nobody is listening. This takes less stress off of you, and you learn to be more at ease talking. You will gain more confidence each show you do, so you will no longer have the butterflies talking in front of a crowd. This is great practice if one were to be a DJ for events, in which MCing would become second nature. Learning how to talk behind the mic is huge for Radio DJing. The radio DJ should have some general back ground knowledge of the music they are playing. It doesn't hurt to know how far the band has come, or what cool things you like about the music. The radio DJ is pretty much color commentating the music that is being played. You are an announcer that the crowds needs. Your radio personality will unfold as you begin to take your show more serious. You will begin to give the listeners a general idea of what your show is going to be like. For instance, I look forward to "The Sunday Morning Hangover" each week. Marc Time is the host. He has won several awards for his radio show, as he is known to host such a great show each week. I am inspired each week to listen to his show and to learn from him. Like I had just mentioned, I continue to learn as much as I can. Learn how to take notes and record your own shows / mixes. Listen to what your show sounds like, and try to discover how you can take steps to improve your show. There is always something you can learn and apply it when the next show comes. That is truly the key to success, have the will to learn. If you have the will power to learn, you will open many doors for yourself. This goes for anything, especially being a radio host. For all we know, nobody cares what the radio DJ has to say. Remember, all we are doing is playing music for the community on the radio. This is not a life or death situation. Learn to have fun with the show and try to smile. . It is so fun to have the opportunity to do something so cool like this, so have fun with it. Don't settle. I am very fortunate at my station because we receive new music every week. Reserve a day in the week where you learn new tracks. Every Monday, I download and analyze at least 100 songs. Do the math, thats over 5000 tracks a year. I have created an entire day around it. I have asked several friends to send me 10 of their favorite tracks that they listened throughout the week. This saves an enormous amount of time. Your friends have already done all of the searching for you. I trust their taste and actually look forward to see what other people love listening to. Seriously, I will even bug them to remind them. One of my most favorite feelings is discovering a new track. This is similar to laughing at yourself. Act as if you are talking to only one person. Have a normal conversation, have something to say, and share some knowledge you know. Share why you enjoy this artist so much, or how this song makes you feel. Have the hunch to make you great. Life is great when you have something to look forward to each week. You get inspired to be the best you can. Reach out with the community you have placed yourself in. Learn how to connect with other DJs around the world. We have the internet at our hands. It is all a learning experience, soak everything like a sponge. Continue to create. Be the person that OTHER DJs want to learn from. Act as both student and teacher! For myself, I am going to take my DJ career as far as I can go, but I will always hold the radio DJ close to my heart. The radio station has helped me get my foot in the door in what I want to be doing, and has opened an unbelievable amount of possibilities. It is a great opportunity to build your own brand and fan base. 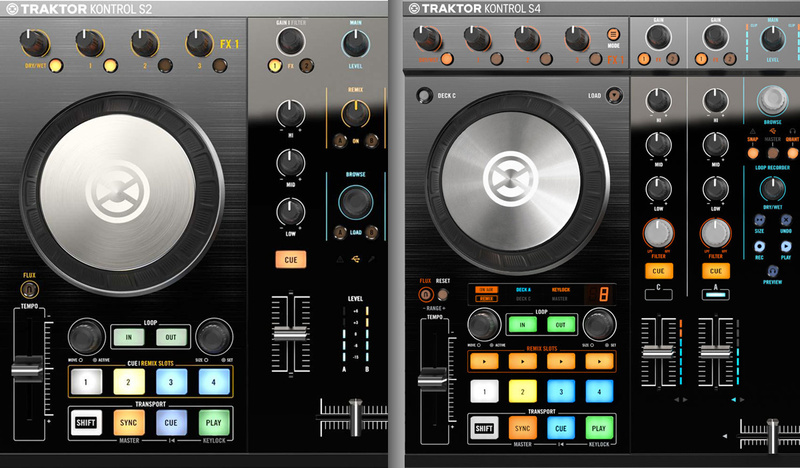 I own a Traktor ﻿S﻿4 and my show will include the mixes that I prepare each week. We all have our own style, and this appears to be mine. I can name a handful of DJs who started at a radio station, and then were able to perform their mixes on a live broadcast. It is a great opportunity to build your own brand and fan base. Since I have found my way into the radio DJ world, I know I will always have a spot in life to be on the radio and be a part of someone’s life. Thank you for reading and please do let me know if you have any success applying at your local station! Also, if any of you guys have any music you would like for me to play on the radio, leave a link in the comments! I will be more than glad to give anybody exposure for their art. We are a community, so that is what I have to offer. Feel free to keep up with me and my DJ journey. Podcast Interview with Reuben Samuel from Mile High Sounds. Music production is a topic every DJ should know at least the basics about. Understanding how tracks are made helps to anticipate their timing and progression and makes you a better DJ. It also allows you to start making your own tracks which opens a whole new world of opportunities. You can do it just for fun and express your creativity. 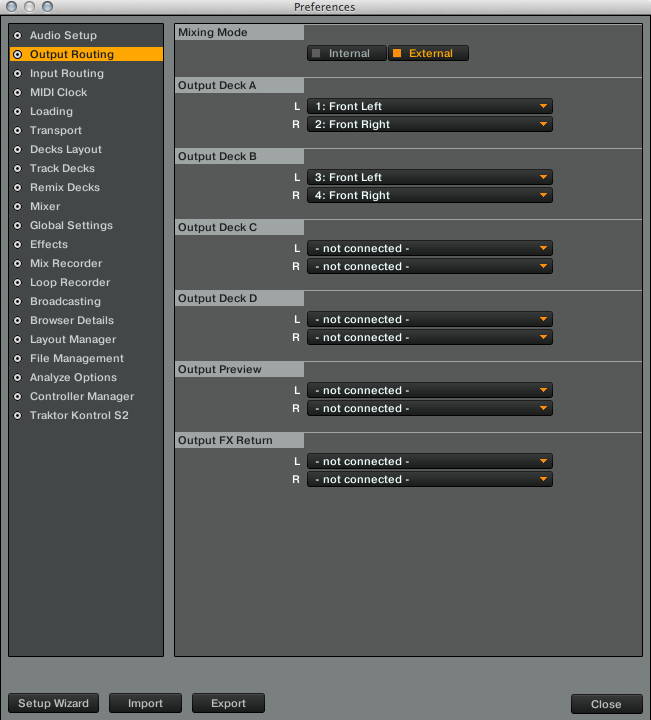 You can produce tracks and include them in your sets. I had a customer walking up to me during a gig and requesting a track I produced (NuOneForYa). One of the best song request I ever had! ​Apart from having fun and spicing up your sets, getting started with music production could be the beginning of a DJ superstar career. Most of the guys rocking the festival main stage, cashing in six figures per gig got there because of a successful releases. If this is the route you want to take - keep reading (or listening). ​I have quite a bit of experience with music production and sound engineering myself, but for this podcast I decided to partner up with a very skillful friend of mine - Reuben Samuel: DJ, producer, teacher at and founder of Mile High Sounds. 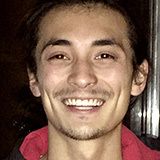 He is a certified Ableton trainer and has a lot of experience in music production. Our talk brought up quite a few gold nuggets summarized in the resources section below. Have fun listening (or reading)! Book "﻿﻿The 7 Ha﻿﻿bits ﻿﻿of﻿﻿ Highly Effective People"
This is DanoEF from TDJC Traktor DJ Cou﻿﻿rse, and today I have the honor to be guest at Reuben Samuel place - Mile ﻿﻿High﻿﻿ Sounds. He is the founder of this teaching centre and production studio. Reuben is also a DJ - I would say he is Mr. Music 360. It would be a pleasure to pick his brain about getting started with music production for DJs. As we all know many big shot DJs out there are actually producers, they got there because they had some track in the charts, and because they had success with the track they produced. For those of you who would like to follow this route, and maybe start your own productions as well, I thought it would be a good idea to speak to “Mr. Ableton”. He will obviously have some hints for us on how to get started. Reuben, Just a few words about what you do here at Mile High Sounds. Hi Dano. At Mile High Sounds we do everything audio and music related. We look at people that have very basic needs, or maybe very advanced needs. We can take a project from any stage along the production line; it could just be a basic riff. A student might come in and have difficulty with making the drum sound fatter. They might have problems with completing their song. They might have problems with developing their ideas further, and this is where we usually step in and help. Guide them and pinpoint where along their production process there might be ways to get over that hurdle and move forward with their productions. That sounds great. We all could use this kind of help I guess. So let’s say I was trying to get started with production. I would come to you and say “you know what, I know a bit about DJing, I bought myself a Traktor﻿﻿ ﻿﻿Controller and I want to start with production.” What would you tell me? "I would like to know what your musical influences were, where you’ve come from"
I would first want to know a little bit more about you. If you played some instruments when you were younger, or if you still do currently play instruments. I would like to know what your musical influences were, where you’ve come from, how you’ve developed as a DJ. You could be a DJ that just started or you could be a DJ that’s been playing for a long time, but it’s still interesting to know where it all came from, how the passion is fielding and so on. Because that also is a decider on how your production will be shaped in the future, and where you might want to take your influences and package them into how people may want to hear what you have to offer. Yeah I think that’s where we come across the topic of musicality. I think it comes into play what’s my musical background, how much do I know about music, right? 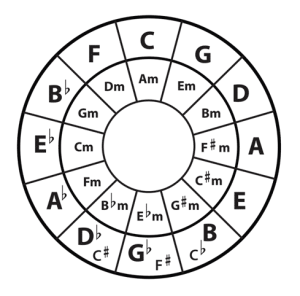 It would be a big part of the whole picture how much I know about music theory, playing an instrument and knowing about scales, harmonies and rhythm. Definitely. A big part of learning about how to make a full song, how to arrange something, is also understanding how a lot of your favorite songs are put together as well. And one of our components and models we do is known as Deep Listening, where we would time stretch a track and put it into the grid in Ableton﻿﻿ Live, and listen to it literally from the very beginning to the end and break it up into sections of what’s happening in every bar. From the beginning you would identify what instruments were used in the production, and then we would look into what happens when and why. What elements come in such as Cow Bells, which are everyone’s favorite. Closed hats, why do open hats happen after 16 bars? Why is there a riser at this point? Why is there a breakdown? What led up to that breakdown? And when everything built up and then drop later, why was there a change in feel and energy and so on. So we would look at that pretty much as a handwritten grid and that really helps people transforming their ideas into a digital audio work station, such as Live or Logic or any other program. We are already getting into the music production theory and skills I guess, and that’s a really wide topic to talk about how tracks are built, the whole world of sound design and arrangement. That’s something to cover in many hours I guess. I think there’s a misconception that you need to go and get the latest drum pad, or the most full-fledged version of software. Even if you’re not a DJ you can literally pick up a copy of, say Ableton Live Intro. It gives you 8 tracks and limited effects, but I mean you can still get into the very core of what makes music production possible which is working with blocks and actually structuring your track, and developing an idea. So for example if you wanted to get in straight away, you could get a copy of Live Intro for example. That’s about $99US dollars and you can do all kinds of things. You can do pretty complex mash ups, and you can do real edits, you can do voice over recording. You could take an existing vocal lead, you could put drums and base, and pads, and that’s only for tracks on its own. So you can really do a lot with the basic software. Rather than reinventing the wheel if you’re going to create or recreate a genre that people have gotten used to certain sound elements, for example DeepHouse like classic MS20 “boom boom” kind of sound to it. Rather than sitting there for 4 hours and trying to figure out how that one particular tone is made, there is nothing wrong with going out and getting some sample packs that help introduce you to how to place that block in the context of a song. You can work it out by listening to how a song is made. As I mentioned before - deep listening. You can see where the beats are, where the beats remove themselves, what comes in when the beats remove themselves, and you can actually look at production from a top down approach, rather than left to right which is what we typically do. 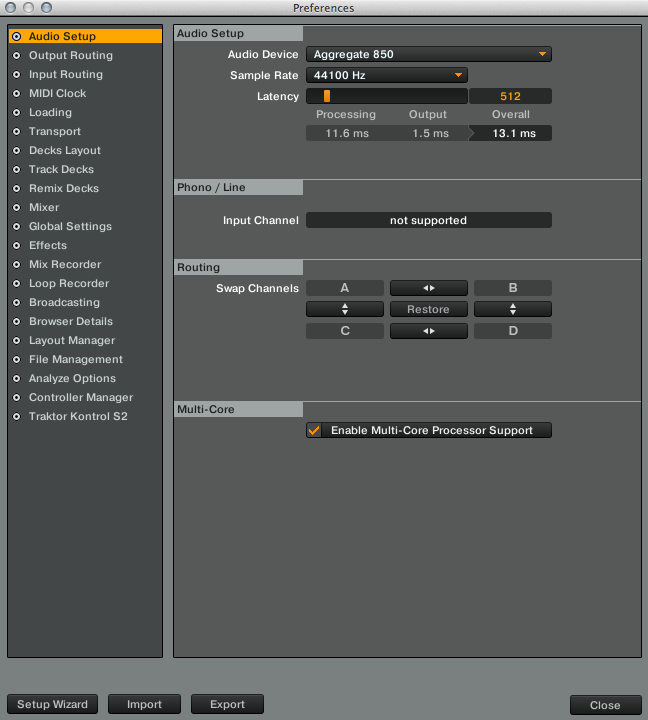 There are a lot of free packs, Ableton Live Lite version for example. Or you could hop on a website like LoopMasters - we’re actually in partnership with them where we can hook you guys up with a ﻿﻿free﻿﻿ ﻿﻿starter pack as well. Talking about monitoring: Headphones help. Even a hi-fi can help but I just generally recommend against using a PC speaker, mainly because it’s only so much that a PC speaker can produce. A laptop speaker is very tinny and you won’t quite understand what’s happening with the sounds you put together. The more you can spend on the speakers or headphones, the better. But a decent pair of DJ headphones would do for starters right? Yeah definitely. Also before you get into how things sound from a fidelity point of view, it’s good to break down the process as well. I think understanding what sounds are like, and what they sound like on their own is definitely a good thing to separate from how they sit in the very beginning. It’s good to get familiar with your palette, just like a painter would choose a medium and so on. They would want to know what they have at their disposal, before they get in there and start to get busy. Get familiar with the colors. Yeah. Having said that the more advanced you get, the more aware that you are that you can literally pick your medium knowing what the end product is going to be, and that of course comes with time. Do we need a keyboard? "I’ve made some pretty horrible tracks on the airplane"
Not necessarily no. You can actually program beats and baselines and so on with your mouse and your computer keyboard. Of course a computer keyboard doesn’t feel great when you play it like a virtual piano, it doesn’t have velocity which is how hard instruments respond to pressure, but you can definitely get by. I’ve made some pretty horrible tracks on the airplane, but having said that I’ve sketched ideas in the airplane and I’ve brought them back. I’ve had times I’ve had hardware fail on me before but I have still managed to finish everything on the computer. But the musical keyboard would help and I think they go for a few bucks right. Yeah. So the hardware is covered: we have (maybe) a keyboard, a headphone, some kind of PC software - Ableton first choice. I mean people start with FruityLoops as well. They are all very advanced softwares and it really comes down to the process. I personally find that I work very fast in Live, based on how it’s got 2 methods of composition. You’ve got the session view and arrangement view, which I’ll drop in some links to demonstrate what the differences are between them. But yeah it’s all about speed. "When you’re stuck on an idea in the creative process and you spend too long on it, you start to loose passion"
Time is getting very precious these days, and sometimes when you’re stuck on an idea in the creative process and you spend too long on it, you start to loose passion in that particular project. That’s something that I used to get very sad about and that block has been lifted for me. Having more options to approach a hurdle is definitely better. Yes. So depending on which version of Live you’d get, you’d get a different library set and effects and a starter kit of instruments as well, which are located in the packs. Which I’ll also drop a link to so you can see a comparison between them all, but you will find that there are a lot of producers that have a particular instruments in mind, when they want to produce. They might immediately think: Sylenth is what I want, so they might want to make very minimal tracks. And again the Live Lite version would work. They could use Sylenth as a VST or an AU, and that would be their main instrument in that case. In which case you would not be relying on the built in instruments of Live, you might add on Massive from Native Instruments and so on. Serum is very popular now. "You could do an entire track out of samples"
But you definitely don’t need to go too crazy with instruments to actually get an arrangement done. You could do an entire track out of samples, that’s been a very, very common practice thing for many, many years since even the first trackers came out. That combined with perhaps recording organic instruments, someone could be just playing a guitar. You could put that into Live, you can time stretch it, make it fit really well, you could sample it, you could get a vocalist on there, and already your track is starting to sound very organic. So whenever somebody plays a real instrument they can always sample it, record it, and start working with that inside Live also. Exactly. Yeah and literally takes 5 seconds to drop in a sample and map it to your keyboard and start playing it rhythmically as well. So you can really expand everything with samples too. So this covers everything we need to get started, and after this I think it’s all about skill. A power socket 🙂 And of course like I mentioned before: recording. You may want to look into getting a sound card and a microphone. There are relatively cheap entry points to that, usually in the 100-150 USD range. Focusrite is famous for its Scarlett, the 2 in 2 out. 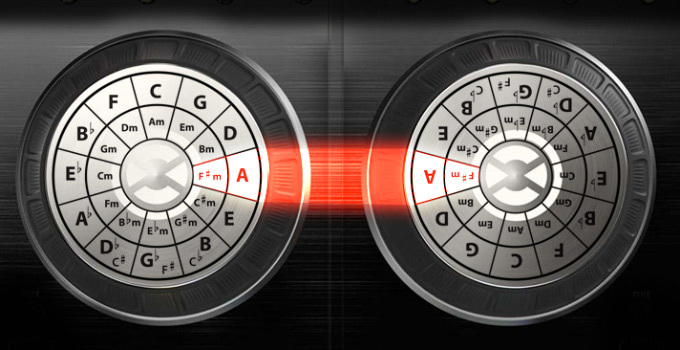 So you could have like one microphone and one guitar input. "It takes many years to create an overnight success." And as soon as we have all this together the only thing we need is learn, learn, and practice and analyze. "People don’t actually see the studio hours that were put in before that even became possible." You definitely have to put in the hours. There is a common misconception that just because a producer suddenly is touring the festivals, within a month of what seems like their first release. People don’t actually see the studio hours that were put in before that even became possible. The hundreds of tracks that are not mentioned before leading up to that very release that got them on to the main stage. It takes many years to create an overnight success. Exactly. I mean there is the ghost producer thing but we’re not going to get into that today, we’ll save that for a separate. 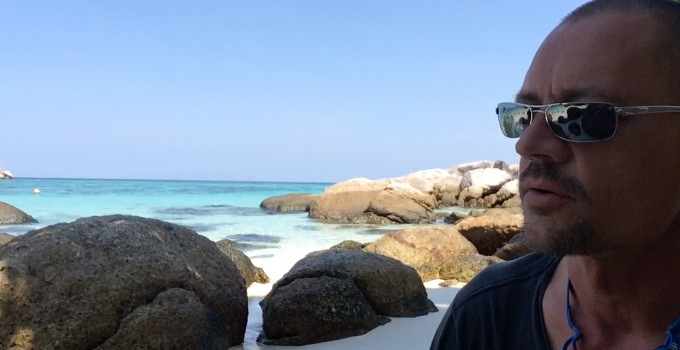 In fact I’d be more than happy to send you a link over to a video I’ve done, where I explained deep listening and my process to it.It’s really short again it’s a concept you can apply, to any work station that you currently use. You can know the bmp of a track drop it into ProTools for example. All I’m doing is helping people listening to sections, I might play sections over and over again but while I do that, I will write down exactly what parts are being heard, and get people to really hear them. Then put markers in throughout the arrangement. "Start picture a mind map of what’s happening." So for example a track would start with maybe a kick drum and a clap. I would write BD+ CLP. And then if a closed hat comes in, I would put on the next mark. I’d say ‘after 8 bars plus CH’ which means closed hat. Then if the break down would have come I might put ‘-PD (breakdown)’ just to indicate that’s happening. And then if a rise was coming I would put ‘rise (8 bars)’, and then you could actually start picture like a mind map of what’s happening. This could be the introduction to a lot of other things we can start to cover. We could take a closer looks at the deep listening part, of course arrangement, music theory. I guess everyone should know the basics about scales, harmony and rhythm. Then sound engineering and mastering. And after all this is done and let’s say my track is now ready and polished - what now? Well what I would usually say at that point is ‘well you should thought about that earlier’. All that work and you don’t have a plan. You have this amazing track which you love so much, and now what? Exactly. Now you have this amazing track which you love so much, and now what. I mean yeah you have social media, but I think it only goes so far. If your goal is to make your music production effort a passion project, well good. Establish that from the very beginning. Then you would just be really, really happy with improving yourself. But the great thing about targets is that you really do strive to improve yourself in areas, that maybe causing you to fall short of reaching that goal. So for example maybe getting signed to your favorite label, one may assume that ‘oh my track isn’t really ready for that label’. And what happens? They never send it. If they never send it they will never know. Yeah of course you got that pretty high chance that you won’t get a response, but if you do – my goodness! Maybe you’re on to something! But that doesn’t just mean being the most amazing producer and sit in your room, and don’t call anyone, and don’t hang out, and don’t take in the scene. If you don’t do that you’re definitely not going to get any results. Is this for fun or is this actually a career? Is this supposed to become something to get you somewhere? So then I would picture the end first. Let’s say I have a favorite label I want to be published on. 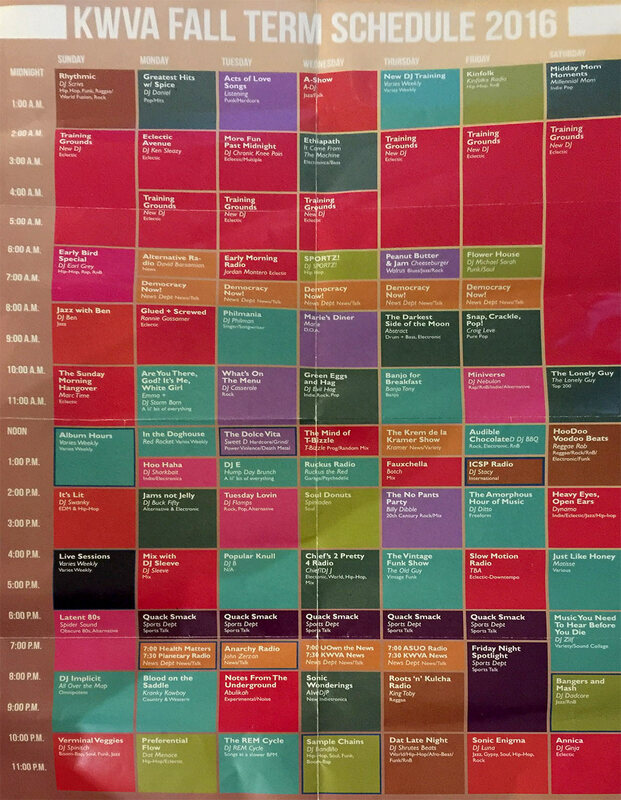 Or I have some festival where I want to play, or whatever it might be. Picture this and then start moving towards this direction, and then stuff will fall into place. I did hear an interview of a guy who submitted 136 demos to his label before he got published. It’s a big number to keep in mind because I remember sending my first demo many years ago, and I got so frustrated by the rejections. I stopped doing that and it was silly, because it definitely takes more than 1 or 2, or 3, or 10 demos to go somewhere before you get any attention, and any feedback. So I guess we just round up here. This could be the start of a series of sessions I could imagine, but let’s see where it goes. Thank you very much Reuben! If you want to be a DJ, keep on reading. Wherever you are in your DJ career, we have a lot of good advice to guide you through and help you to make the right choices when it comes to DJ hardware and DJ courses. If you want to learn how to be a DJ, first of all, you have to pick your DJ gear and become good at using it. If you are starting off your DJ career, you have to concentrate on steps 1 and 2 first. If you are reading this, chances are you are already very passionate about your music and know very well what you like and what you don't like. I think that's very important to know. There is no way to be a good DJ without a very strong relationship to music. But then, there are famous DJs out there maybe playing something very different and you might be asking yourself, should I play what is popular or should I play what I like? On many gigs you will have to face the question of whether you want to do your thing or play something that makes your crowd happy. Ideally, you will make your crowd happy with what you love. That's what I call "DJ heaven". But many times you will have to compromise. My basic rule is, don't try to be someone else. Stick to what you stand for, what you love, even if no one seems to care. It takes courage to be yourself. If you think about it, if people love what you play and it's not you, it will feel wrong. How to be a DJ is how to find your way. Better to be patient and eventually find the crowd, the club or the record label that appreciates who you really are than be loved for the wrong reasons. We will cover music sourcing in our Traktor DJ Course. Nowadays, it's not very hard to find your music on the Internet, but it takes time to develop a strong musical personality – and that's your most valuable asset. Now that you know what you want to say, learning how to DJ also means finding the right skills and tools to express yourself. And you need to be really good at using them – otherwise it will all come out wrong. Choosing your gear is important. At the end of the day, you have to buy it and practice at home for quite some time to develop your skills. The question is, what DJ equipment to buy? It's not cheap, so we want to make a good decision. I remember buying my Technics 1210s back in the nineties. Boy, was I proud. And broke! But in those days, it was the only way to be a DJ: buy those 1210s, learn how to beat-match, mix, buy your records and all that. Nowadays, turntables have this huge sentimental aura, and you will hear more than once that spinning vinyl is the only real way to do it. And yes, it is a great experience to work in the purely mechanical, old-school way. It’s very honest and direct. There’s no computer involved, no MP3s. But then, time moves on. Today, no club will have turntables (with very few exceptions), and buying vinyl is a challenge compared to buying MP3s. But it can be done and it can be great fun, especially when you are into old-school stuff, or maybe have your record collection already. On top of that, vinyl is having a revival in many cities. 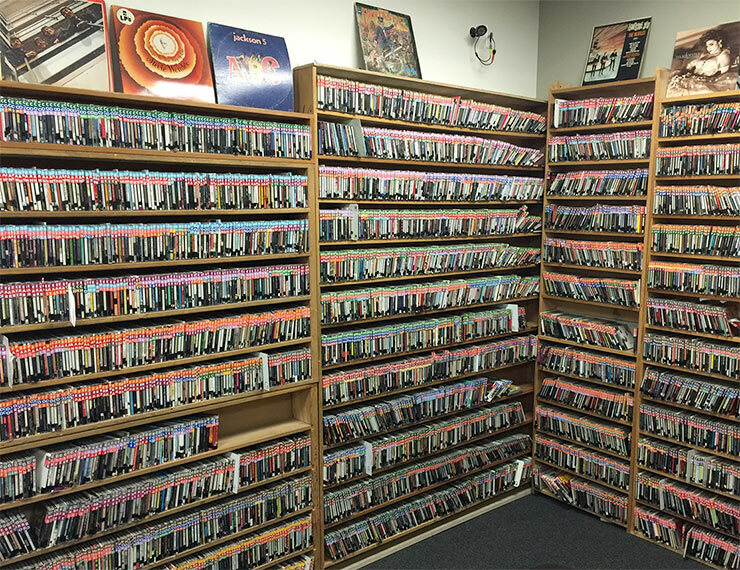 Record stores are opening again. How I miss them! They have always been the best hangout for DJs. They’re a place to check out the latest releases, have a chat with the owner who will tell you what's hot right now, and even meet some music geeks and DJs. Turntables will be your first choice if you are into turntableism, scratching, hip hop and all that stuff. For that purpose, controllers will be completely useless. But if you want to play regular club gigs or events, you MUST be familiar with at least one of the other options: CDJs and controllers. In 1982 music became digital. The first commercially available CD player was released. 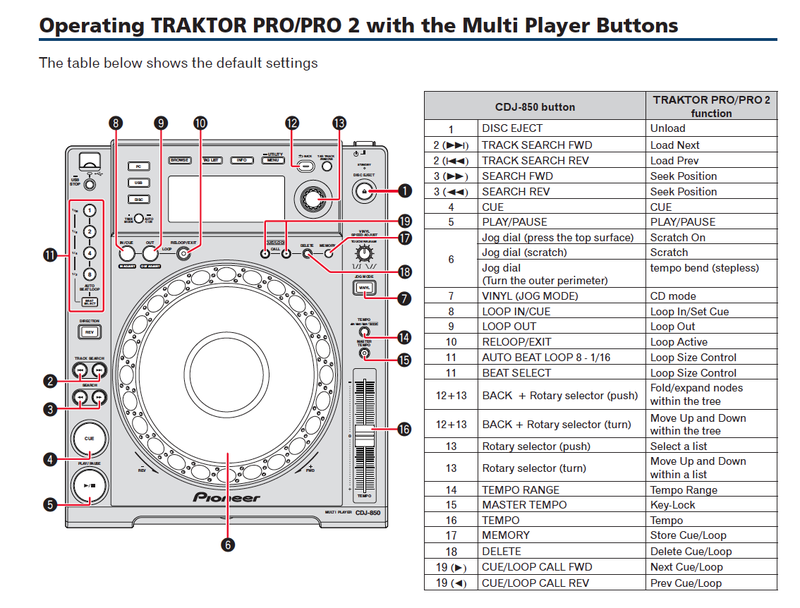 Pioneer established the club standard for DJs with their CDJ series: CD players with a turntable-like interface, allowing you to scratch and pitch-bend. Over time, CDJs became more and more sophisticated, offering further control features like hot cues, USB port, linking, better displays and even automated beat-matching. This is how to DJ the most convenient way. You can travel the world with nothing more than a pen drive and headphones in your bag, because you can rely on clubs having CDJs in place. But in order to get familiar with them, you will have to buy a pair and a mixer in order to practice at home. If you go for the latest model, it will cost you around $4,000 just for the 2 CDJs. But of course you can have it cheaper if you go for older or second-hand models. Compared to a Laptop, the display is still very tiny. Just like CDJs were a logical consequence of audio CDs and digital music, DJ controllers were the logical consequence of laptops becoming available to everyone. How to be a DJ always reflects technological development. 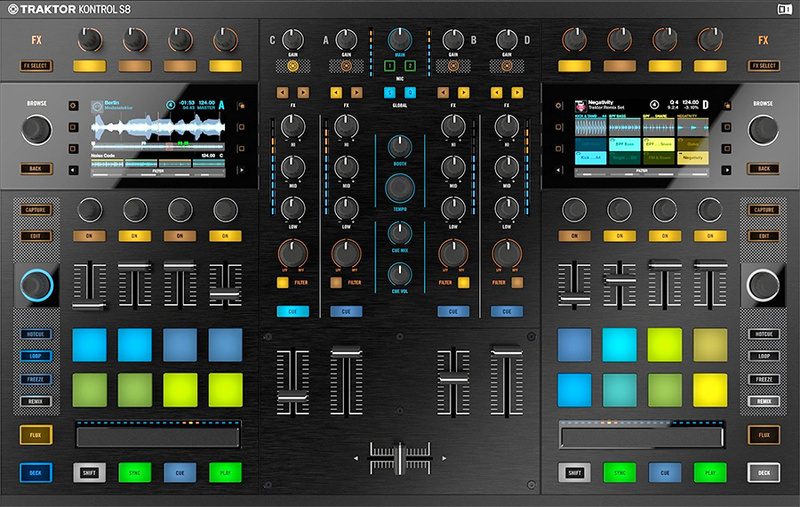 DJ controllers are setups consisting of a laptop running a DJ software (Serato and Traktor Pro being the most popular and professional ones) and a controller – a piece of hardware that allows you to beat match, mix, add effects and also works as a four-channel sound card (you need four audio channels in order to mix: two for the music signal and two for your headphones). Buying a controller / software package is much cheaper than a CDJ setup (provided you already have a laptop) and gives you much more control over your sets and mixes. The downside: You have to carry your gear to every gig. And if something goes wrong – your laptop crashes or your controller gives up – it's all on you. It’s happened to me before. Trust me, you don't want to be in that situation. As a laptop DJ, you are always on the geek side and look less "cool" than the CDJ guy. Just in case looks matter to you. If you ask for my opinion how to DJ, the laptop / controller setup is the natural consequence of technological development and reflects the software-based approach, which makes more sense in today’s world as opposed to the hardware-driven concept reflected by CDJs. It is much simpler to update software than hardware. So despite the cons, I still prefer my controller (Traktor Pro) setup. 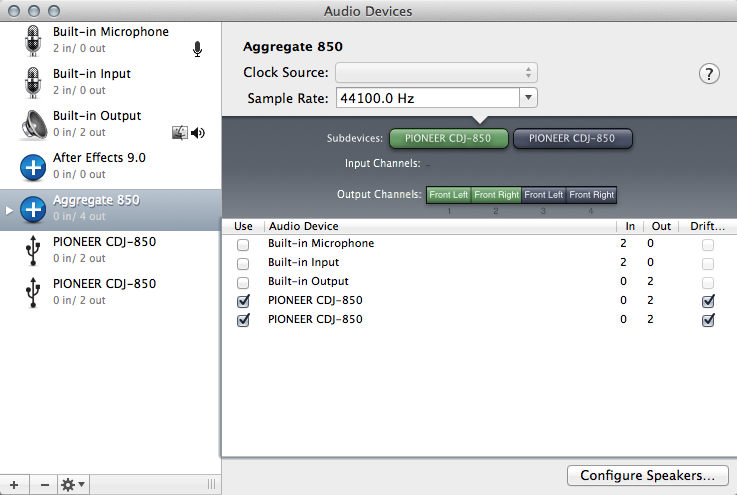 But you can't ignore the CDJs for now and need to know how to work with them in case your laptop doesn't boot. If you're looking to buy a controller - check out these 5 best DJ controllers for beginners on the DJ Junky website. One important piece of hardware is still missing, though – your headphones. Check out the best DJ headphones here. This topic alone could easily take a whole book to cover and I will keep adding content on this. For now, I just want to give you a breakdown of the essentials to enable you to investigate further on your own and stay on track. Having everything of the above in place – your music, sets and hardware – is a good and necessary start, but if you leave it at that, you'll be just another bedroom DJ. If you want to learn how to DJ in clubs, bars or events on a professional level, promotion, marketing and branding are a major ingredient for that. Don't fall into what I call the 'artist trap' – cultivating the mindset that says, “It’s good enough to be creative and play great music. Taking care of the business side of it is somewhat unworthy.” Learning how to be a DJ implies treating DJing as a business: delivering value that people are willing to pay for, as well as reaching out to those people. Make sure you have a clear understanding of what you stand for as a DJ. What makes you unique? What is it that nobody else can deliver? An exercise I find very useful is to take a sheet of paper and write down all the qualities you associate with yourself. Colors, brands, genres, movie stars – whatever it is that is relevant to you, put it on a list. That's your identity-chart. From there, find a description, maybe a tag-line and a DJ name that describes you best. And whenever you talk about yourself, make sure you relate to that list. This way you create your own profile, identity, and brand. Needless to say, it’s recommended to have a website and social media sites in place. Build your authority by posting what is relevant to you, what's happening in your music niche and in your DJ life. Be authentic and add value to other people. Make the point that you are here to provide a unique experience and enhance everybody's life. On top of that, you may consider having a Beatport DJ profile, ResidentAdvisor profile, BandCamp page and a Twitter account. The list could go on and on – you won't have the time to cover each and every social network out there, but the four basic ones mentioned earlier should do the job to show that you have your sh** together and are not hiding under a rock. Reach out to colleagues and authorities in your music niche. Find ways to cooperate with other DJs and producers, artists, club owners and event organizers. Build a team around your brand. It's not about what you know, it's about who you know. And even more important, who knows you. Make it a habit to reach out to three to five people every day who have the potential to make a difference in your career. How to be a DJ includes being a good communicator. As you may have noticed, almost all the big DJ names out there are not exactly known for their DJ skills. They are big because they managed to get a label deal and hit the charts with their releases. Don't push yourself if you're not ready, but for most DJs it will be a natural need to produce their own tracks and remixes anyway because it’s the best way to add your very personal flavor to your set. 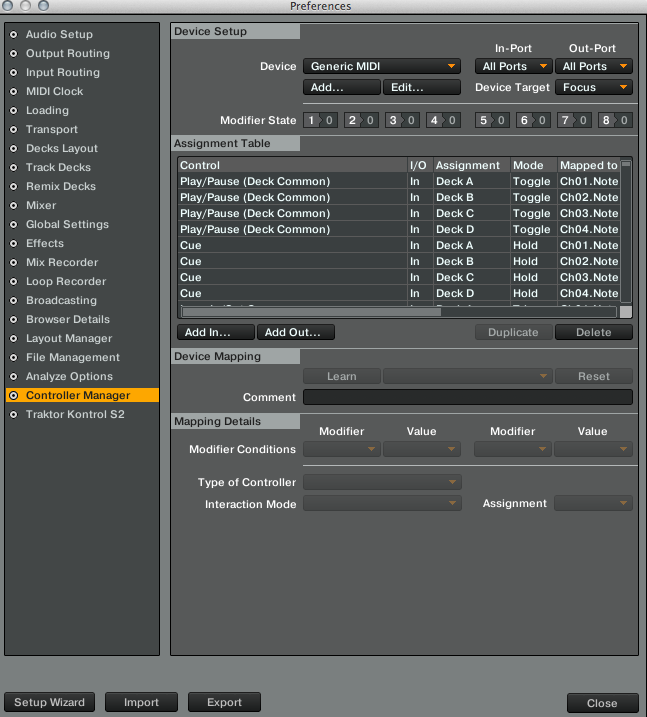 If you haven't started investigating the great realm of production yet, Ableton Live would be a good starting point. At the annual Electronics Fair IFA (International Funk Ausstellung) in Berlin, Panasonic announced the resurrection of the legendary Technics turntable series. Technics turntables were completely dominating the professional market in the 80ies and early 90ies. Launched in 1972 by Matsushita, they quickly took over the live DJ and radio scene foremost because of it´s direct drive high torque motor design. Push-button-cueing and scratching became possible for the first time and were enthusiastically adopted by hip hop DJs. The other amazing feature Technics introduced to the market was Variable pitch-control, allowing the rotational speed to be adjusted between -8% and +8%. Now beat-matching was possible and the SL 1200, later 1210, became the inevitable and dominant DJ tool for many years to come. The revolution of digital music, starting in the 80ies, gained momentum rapidly. The convenience of having 20 tracks on a CD combined with quickly evolving CD players started pushing vinyl out of the market towards the end of the 90ies. Matsushita Electric Industrial Co., Ltd re-branded themselves into Panasonic Corporation in 2008 and shortly after that, in 2010, discontinued the production of the Technics series. The second hand market price for 1210s skyrocketed soon after that. Thanks to archive.org, we still can take a look at the last version of the Technics website. Recent data collected for the British Phonographic Industry shows that in the UK sales of vinyl are up 56 percent year-on-year, reaching their highest mark since 1994. Is it likely that vinyl will mount a genuine comeback against digital streaming, which could top 25 billion streams in the UK alone this year? No. But neither are audiophiles and purists willing to give up on analogue formats, and especially not those who are prepared to spend upwards of £20,000 on a Technics reference audio speaker setup. 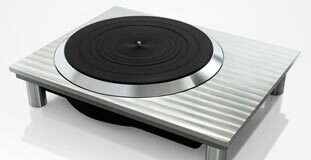 "Turntables are a very iconic product for the Technics brand. It is important to show our sincere dedication [to that]. The turntable market is very small but it is a very important brand product." 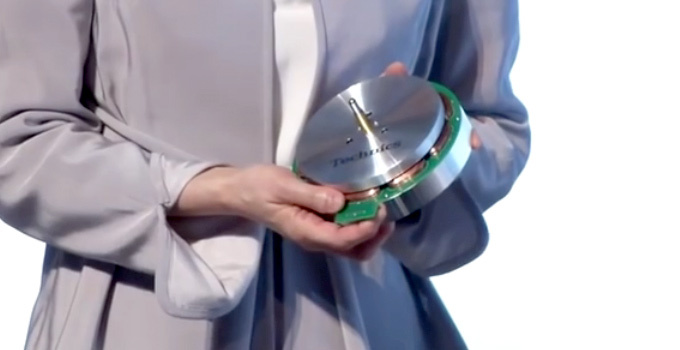 According to the presentation at IFA, the new Technics turntable will be completely re-engineered but still reflect the esteem of the classic model. Direct drive included. It will be released in 2016 without a price tag es yet. Can´t wait!